Manufacturer & Supplier of LED Lights in Chennai & LED Lights. Our product range also comprises of UPS Systems in Chennai, Stabilizer in Chennai and Inverters in Chennai. We are instrumental in manufacturing and supplying a wide range of LED Lights. 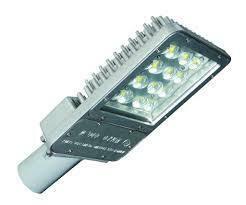 These lights are highly demanded in the market for their extra ordinary lightening and superior quality. Offered products are made up of quality assured material and latest technology. Also, one can purchase these products from us in various specifications that are required by them.